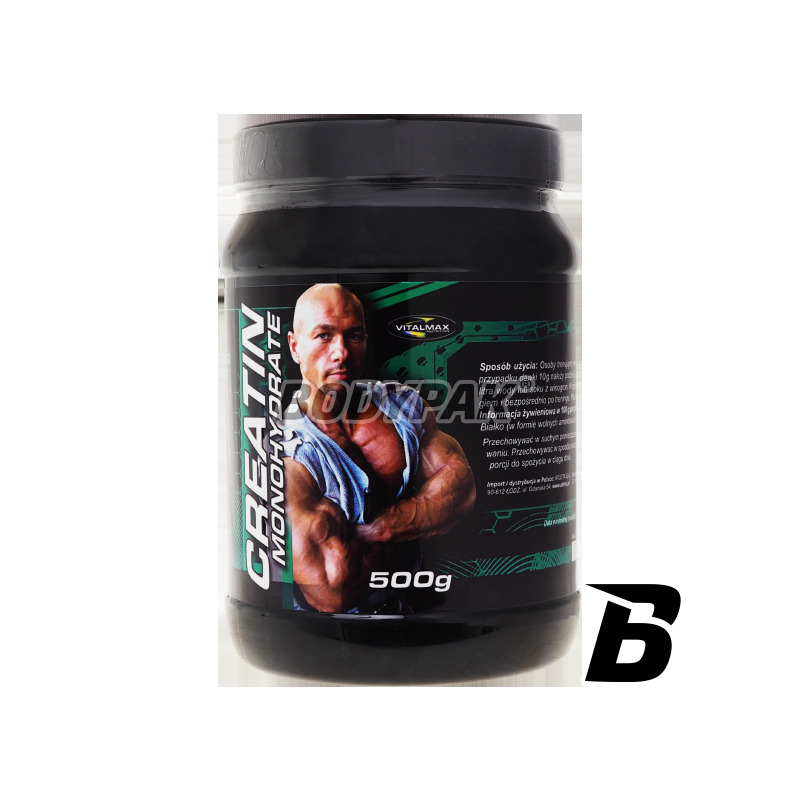 Creatine is a naturally occurring compound in the human body. It facilitates energy production, intensifies anabolic processes and stimulates muscle protein growth. Bet on the quality and enjoy the results! 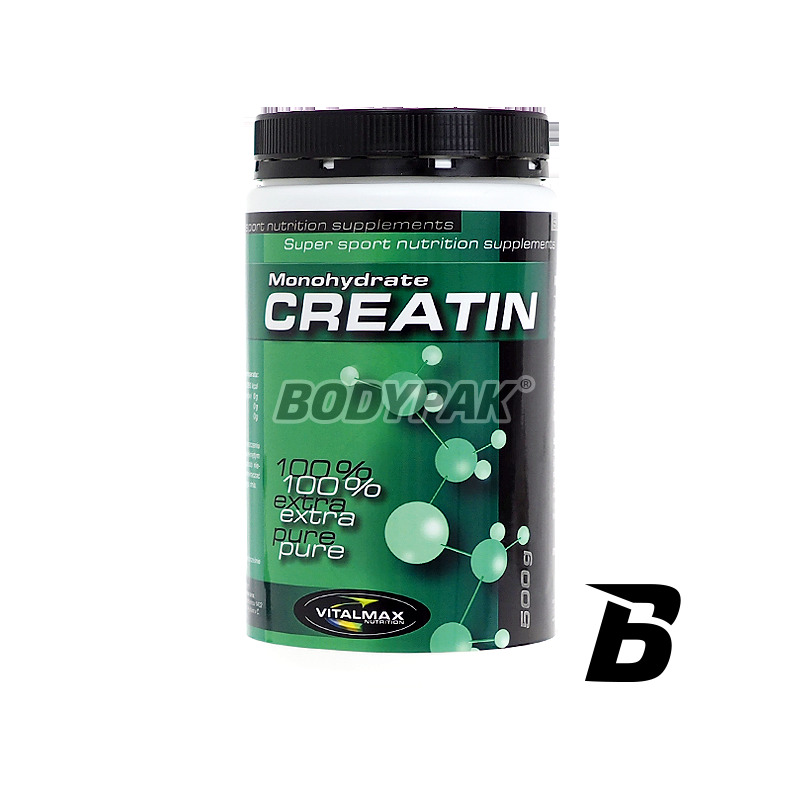 Creatine is a naturally occurring compound in the human body. It facilitates energy production (ATP), strengthens anabolic processes, stimulates muscle proteins growth, strengthens power of muscle contraction and increases hydration of muscle cells. It also has strong anti-catabolic properties, significantly accelerates recovery time. Regular supplementation Vitalmax Creatine increases lean body mass, increases muscle strength and endurance, improves the overall condition of the body, increases exercise capacity and training adaptation. After a few days of using your muscles become bigger and more inflated. It improves the efficiency of the body, making it possible to have longer, more effective workouts. Fineness 200 MESH influences better absorption of creatine by the body. Składniki: 100% monohydrat kreatyny, tauryna, chlorowodorek pirydoksyny (witamina B6). Wypróbowałem i moge polecić. Rozpuszcza się błyskawicznie. Wydajność ok. Efekty widoczne. Cena b.dobra. Śmiało polecam każdemu. Mono jak mono. Cena najważniejsza a tu od kilku lat opłacalność jedna z lepszych. Rozpuszczalność bdb.